Serving Sarasota and Charlotte Counties. 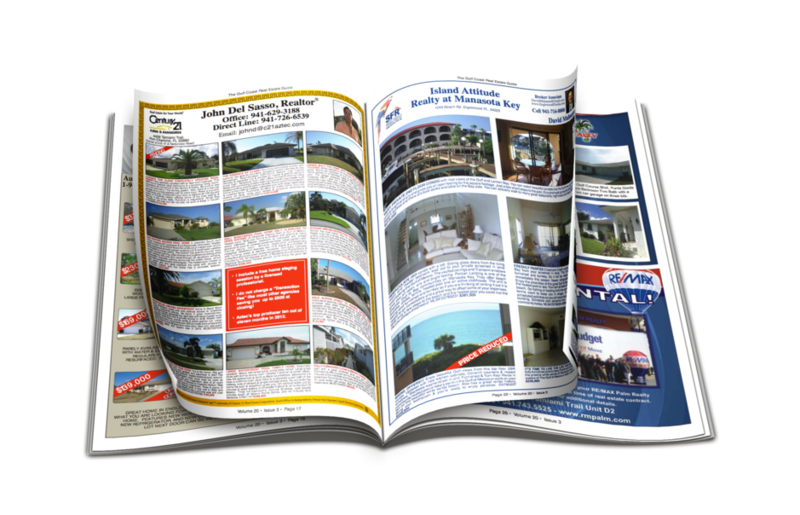 The Gulf Coast Real Estate Guide (GCREG) offers standard full, half and quarter pages. Other Premium opportunities are available. See the above schedule for dates when adcopy is due. Your ad is created and a copy is sent to you for your review and approval. To ensure accuracy of the proof a prompt response is requested. If your marketing Department or any Agency creates an ad for you please give them the information below or ask them to contact our Graphics Department in advance of deadline. Include your name & contact information. We us PC's not Macs.